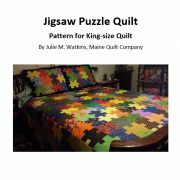 This newly updated, 5-page PDF booklet contains complete instructions with photos to make one king size puzzle quilt (sham pattern is not included). 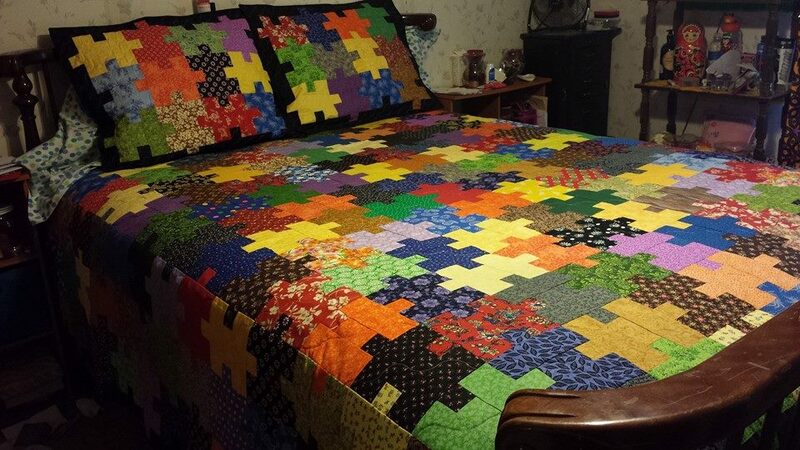 The finished quilt measures about 111 x 99 inches. 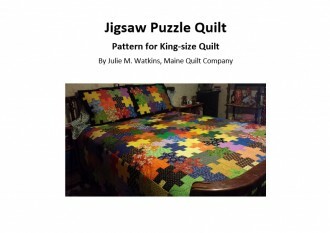 Tags: Jigsaw Puzzle Quilt Pattern, Puzzle Quilt Pattern, Puzzle Quilt Pattern PDF File. This is an original Maine Quilt Company pattern by Julie M. Watkins in PDF format (360kb) for immediate download. 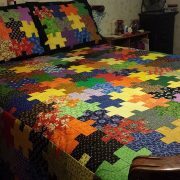 The completed quilt shown in the first three photos above was made with bright jewel tones and saturated colors against a contrasting black border. 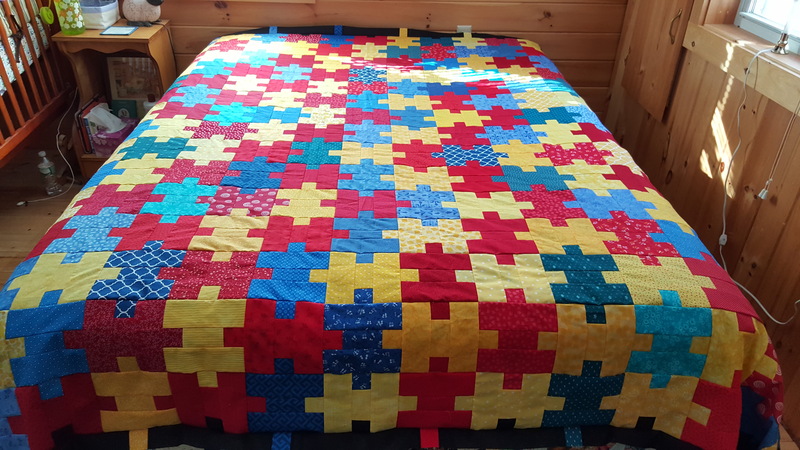 The last photo shows a custom order quilt top made from the pattern using only reds, blues, and yellows. 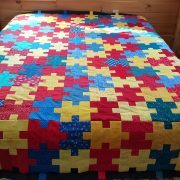 Select colors of your choice to make your quilt your own. 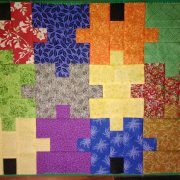 Vary the number of columns and rows to create smaller versions of the quilt. 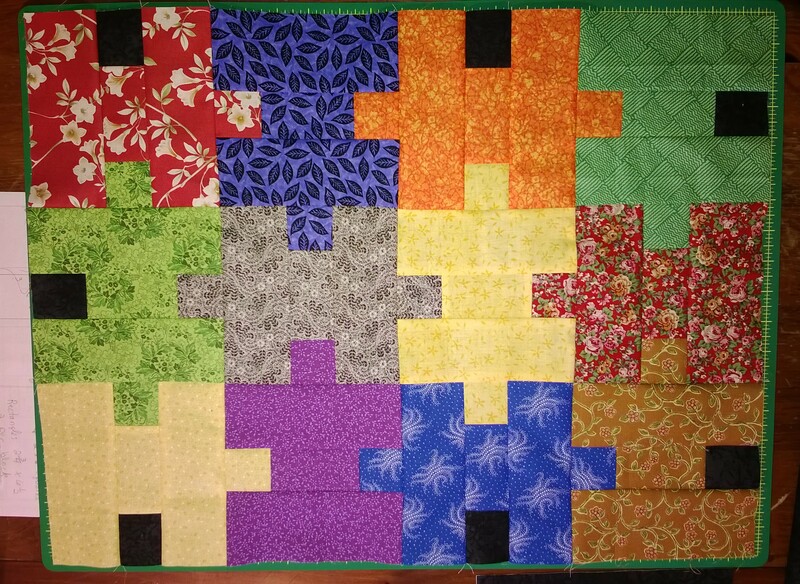 Easy piecework. Clear instructions. Even a beginner could do this. Helpful to have experience with batting, backing, and binding. 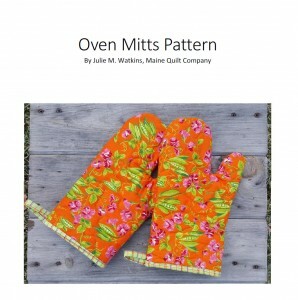 The pattern and instructions are for personal use only. Their sale and distribution are prohibited. 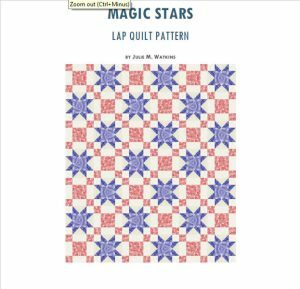 Pattern is Copyright 2015 by Julie M. Watkins, All Rights Reserved.